- Copper is an emetic. As little as 10 milligrams usually produces nausea, and 60 milligrams usually produces vomiting. 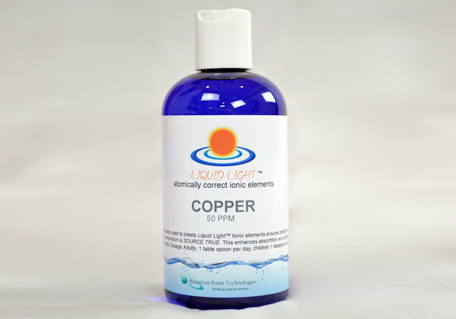 The lethal dose for copper may be as low as 3.5 grams. - Copper levels are reduced if large amounts of zinc, iron or vitamin c are consumed. If copper intake is too high, levels of vitamin c and zinc drop. - The consumption of high amounts of fructose can significantly worsen a copper deficiency. Postage included on orders within North America. Orders outside North America are subject to additional postal chgarges. By purchasing our products or courses, you agree to our ‘no refund’ policy. Once you have paid for a product and/or course in full, physical items will be mailed to the supplied address. A shipment containing the outlined tools (stated in the course description) will be shipped to you via postage, and you will be advised an estimated arrival date. Postal timelines may vary depending on geographic location and quality of postal service. For online material, you will be supplied a link where you can download the outlined material. Payments and/or deposits indicate your commitment to receiving the materials and are not subject to refund. Your payment for this purchase is processed securely by PayPal. PayPal uses industry-leading encryption and fraud prevention tools. They don't share your financial information with the merchant, and they send you a confirmation email when you make a payment. When you sign up for a PayPal account, you can pay easily and securely with your bank account or credit card. You don't need to dig out your credit card every time you pay. You save your details in your PayPal account so you don't have to enter them again and again. PayPal offers buyer protection on eligible transactions for up to the full purchase price plus original shipping charges. Copyright 2019 Chris Kehler Holistic. All rights reserved. Website design, hosting and integration by Bradley Advertising.